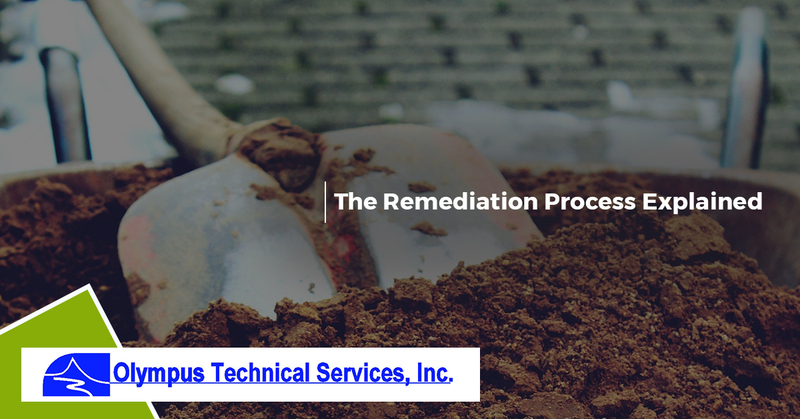 If you have never heard of remediation, or are unaware of the remediation process, you may not know if this specialized service is of use to you. However, if you are seeing signs of hazardous spills, there are many reasons why you should consider contacting an environmental services expert to discuss remediation. That’s why, in today’s article, we will talk about the three parts of remediation that include inspection, remediation, and restoration. As the leading environmental services consulting company in Helena, Billings, and Boise, Olympus Technical Services, Inc. offers the environmental solutions necessary to ensure that your project is managed both professionally and efficiently. With a team of civil, environmental, and geological engineers, our highly trained staff is equipped with the tools in place to take on environmental tasks both large and small. From vacuum and daylighting to direct push drilling, our full offering of environmental services are designed to meet the needs of all individuals. To learn about the entire remediation process, continue reading more below. Upon contacting Olympus Technical Services, Inc., we will discuss the risks that hazardous spills can have on surrounding soil, water, and much more. To determine if remediation is necessary, our team of professionals will inspect and assess the site in question before moving forward. This is a vital part of the process to determine the severity of your situation while formulating the best steps necessary to resolve any potential environmental risks that you may be facing. After determining that the area in question requires remediation, we will then move onto the remediation process. Remediation involves the removal of hazardous materials that can be found in soil, groundwater, and surface water. Our team of remediation experts are 40-hour HAZWOPER certified, meaning that they are trained in applying best practices when working with hazardous materials. This allows Olympus Technical Services, Inc. to effectively remove the entirety of your hazardous spill with ease. Once our team of professionals has determined that your hazardous site has effectively been remediated, the next step is restoring the site in question to its original state. After removing hazardous soil and properly disposing of your hazardous waste, there is still much to do to ensure that the area in question is restored to a natural state. Planting trees and local vegetation is just one of the many ways that remediation experts work to help rebuild the affected area which can also help to reintroduce displaced wildlife after an extended period of time. As you can see, remediation can be a timely process, but the benefits it provides to the environment and the wildlife that inhabits it make remediation a necessity for maintaining the wellbeing of our planet. If you would like to learn more about our remediation services offered, or would simply like to view our full list of environmental services that we provide, visit our website today! We are available around the clock to respond to emergency spills with a team of professionals that are dedicated to resolving any environmental crisis that you may be facing. Contact us now to get started!